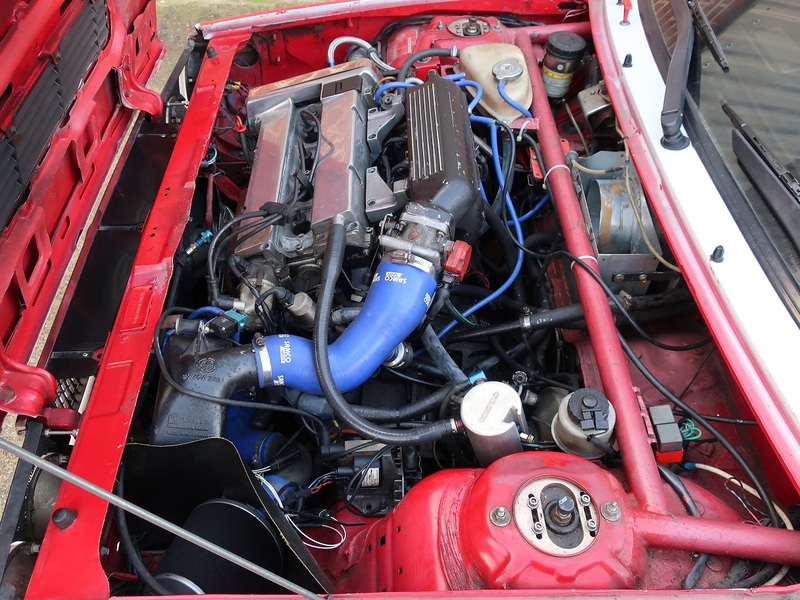 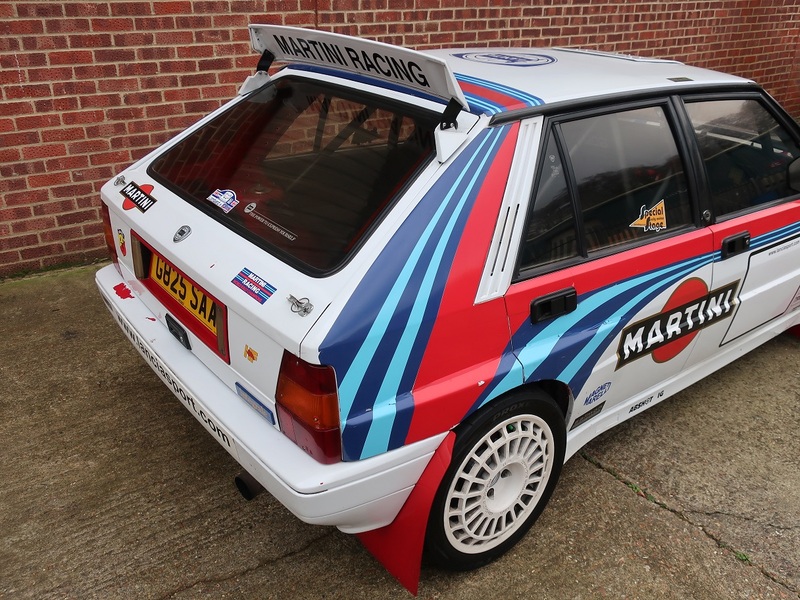 Manufactured in 1990 this 16v Integrale was prepared to rally specification in 2008 for a Rally Technical Passport by A1 Performance cars in Lithuania and fitted with an FIA approved roll cage. 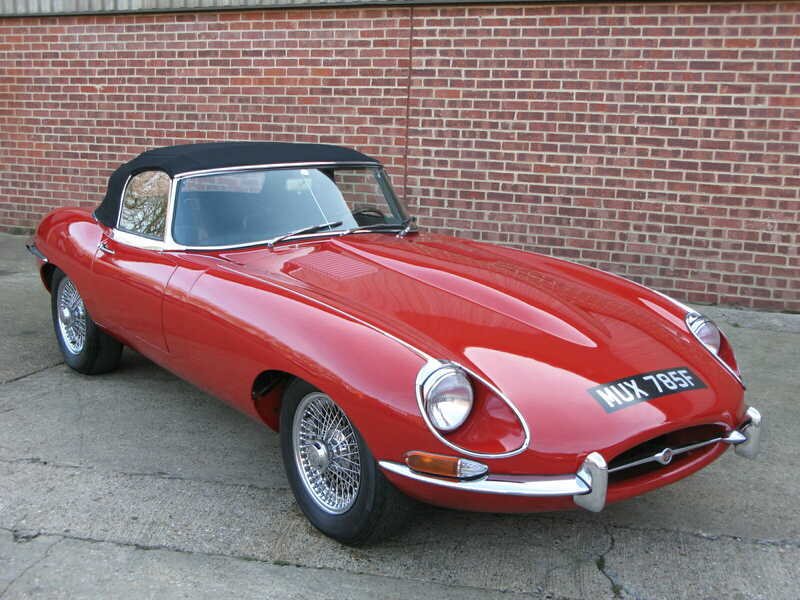 It was subsequently rallied in various European events and was imported into the UK in 2010. 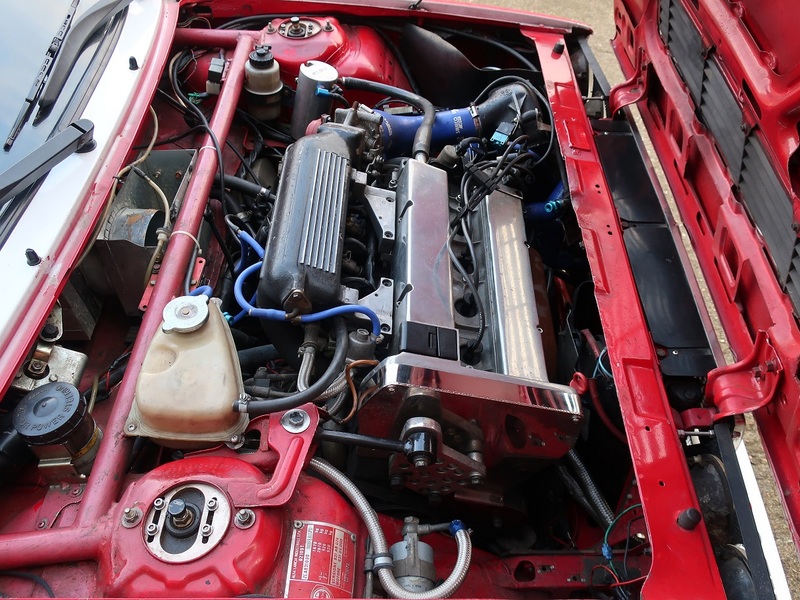 Further works were carried out soon after by the UK owner including a new engine and the reconditioning of the gearbox and rear differential. 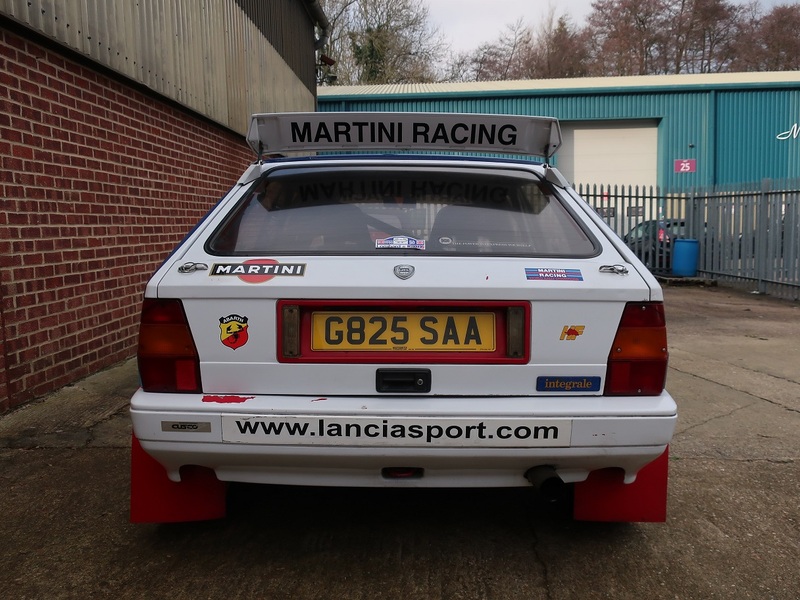 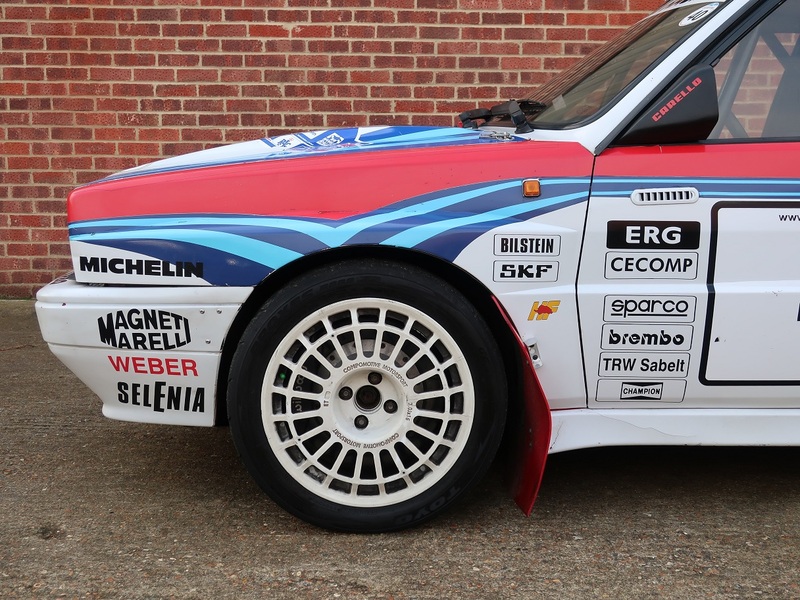 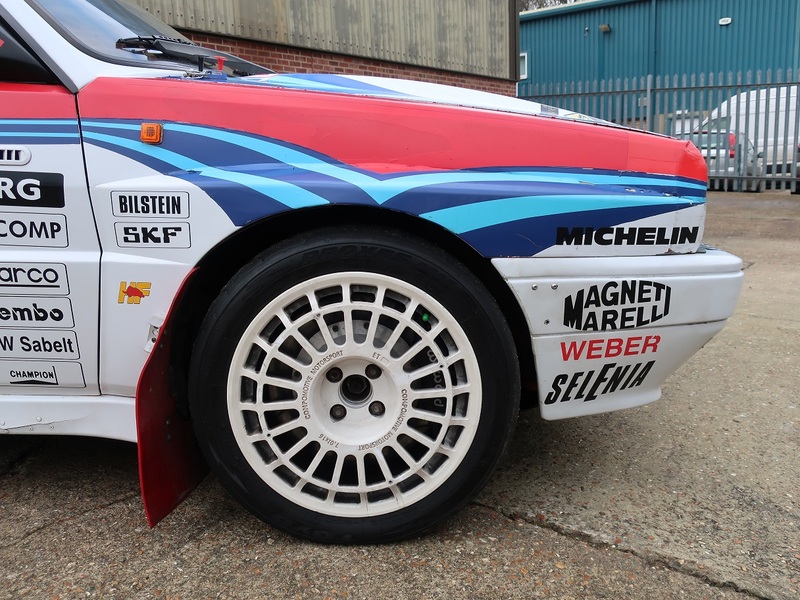 In recent times the car has taken part in various European hill climbs and rally’s including the MSA British Rally Championship in 2011 and comes complete with (Stage Rally – Category 1) MSA competition car log book. 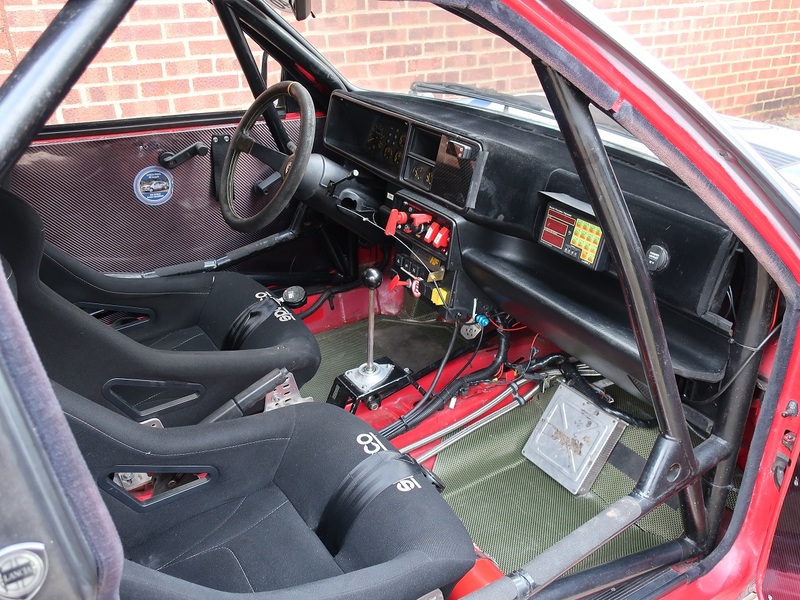 In good mechanical order it has benefitted from recent recommissioning work at a cost of £2,819. 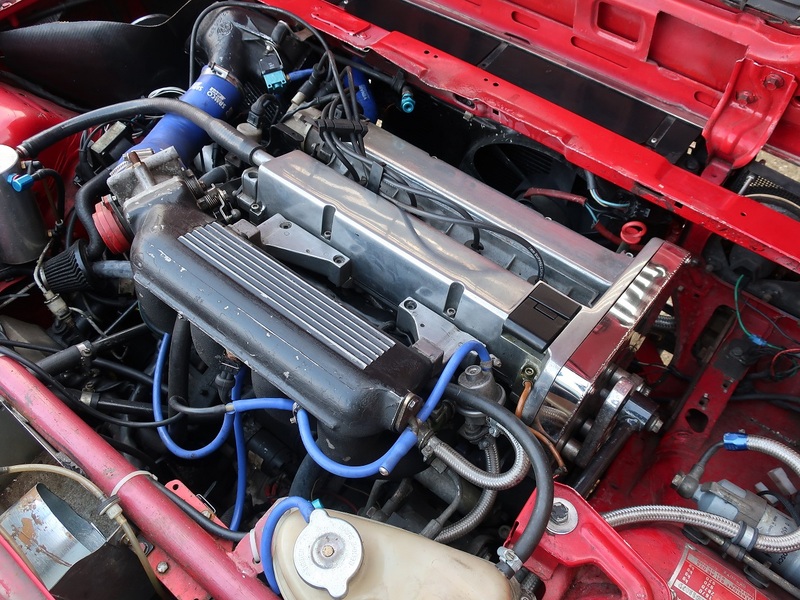 Included in the work was a cambelt service and a reconditioned turbo unit. 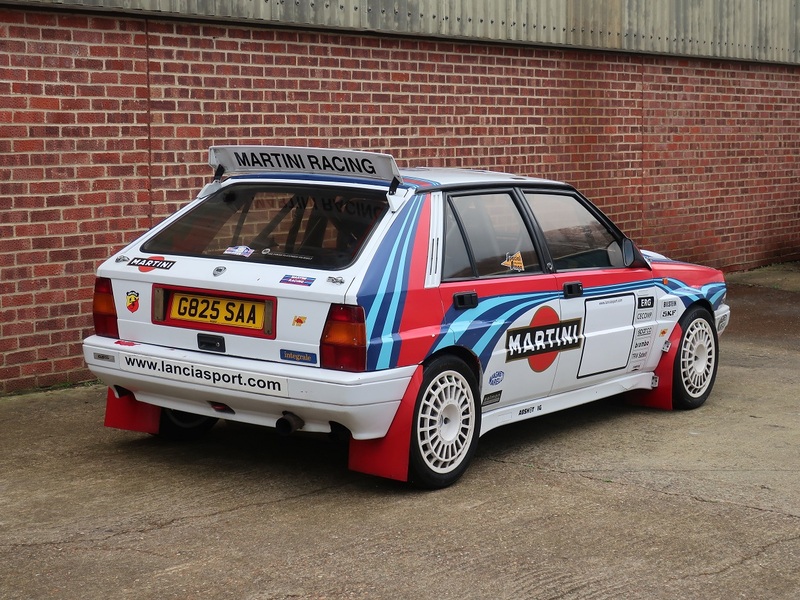 The body of the car is generally good however does show signs of off-road/rally use. 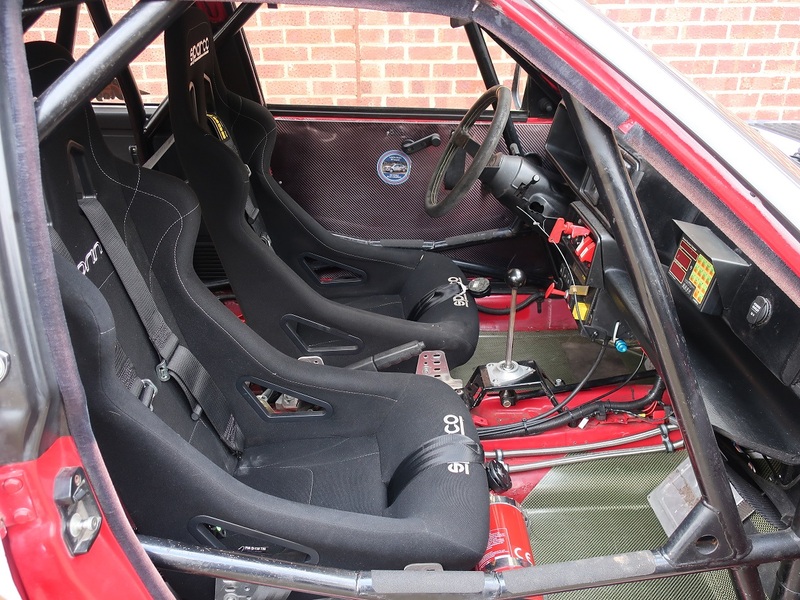 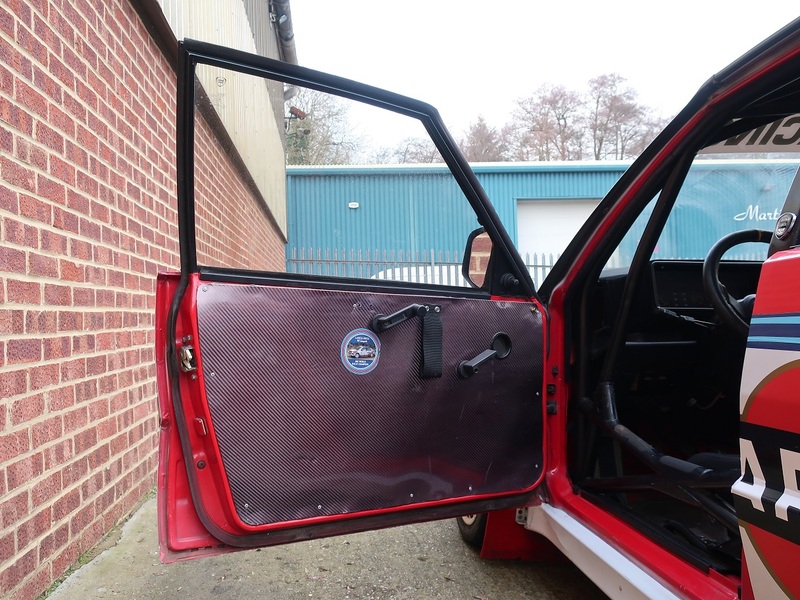 The interior of the car and roll cage are presented well and are in good order however the seats and harnesses will need renewing for competition events. 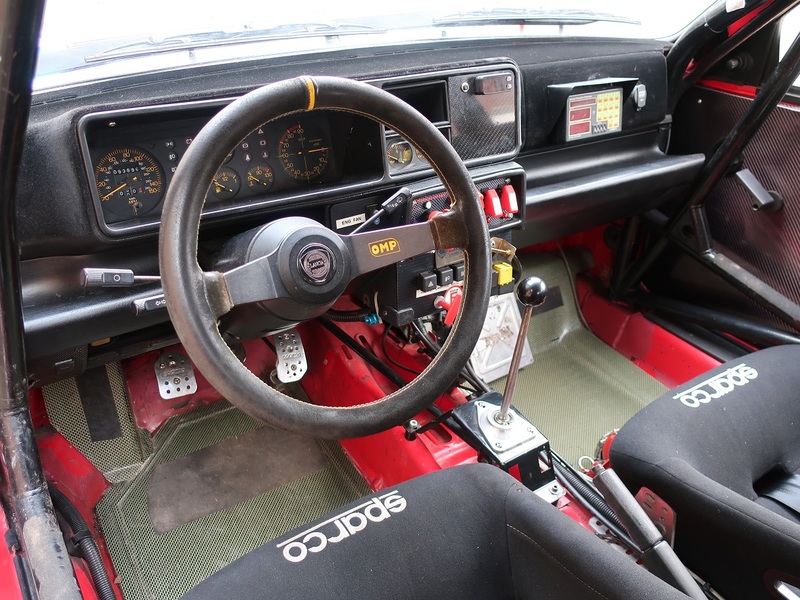 Sitting in the driver’s seat, one is surrounded by period detail. 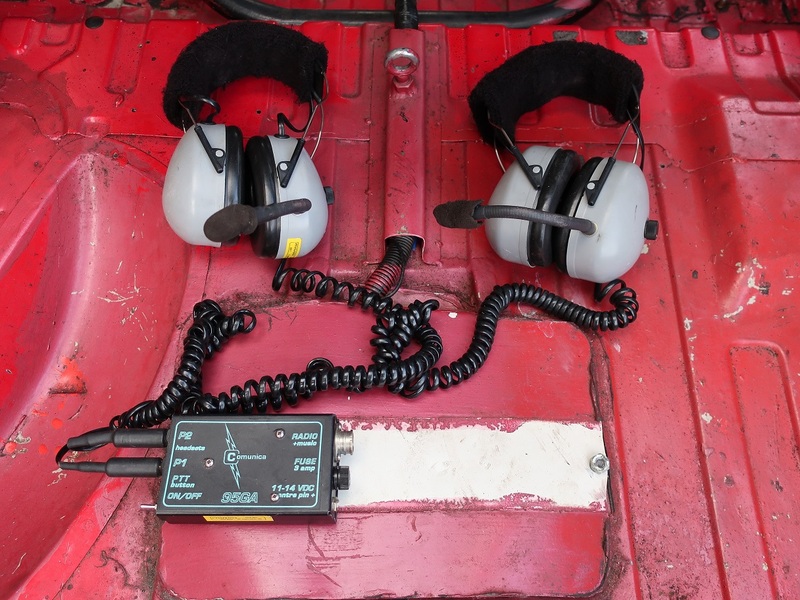 A Works style roof vent, trip meter and fire suppression systems are all fitted. 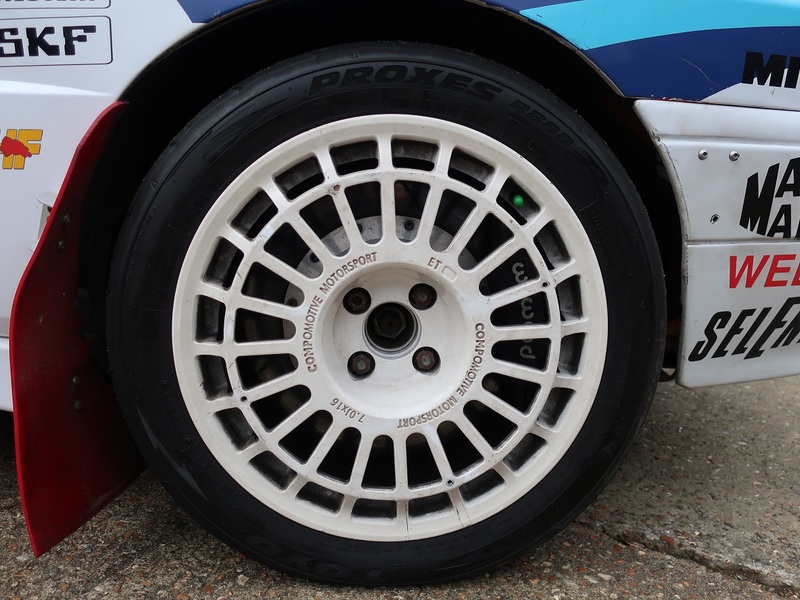 Mechanically the upgrades include coil over suspension with adjustable front top mounts, Willwood front brake callipers with larger discs. 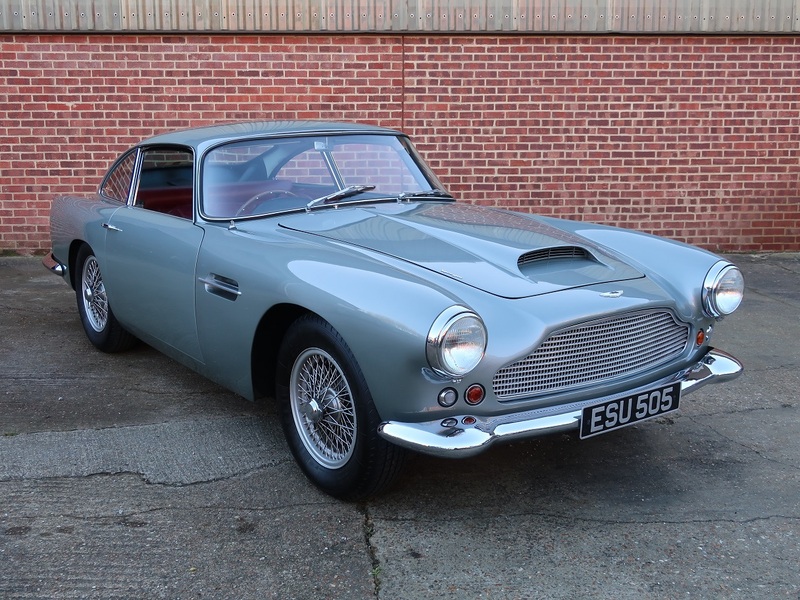 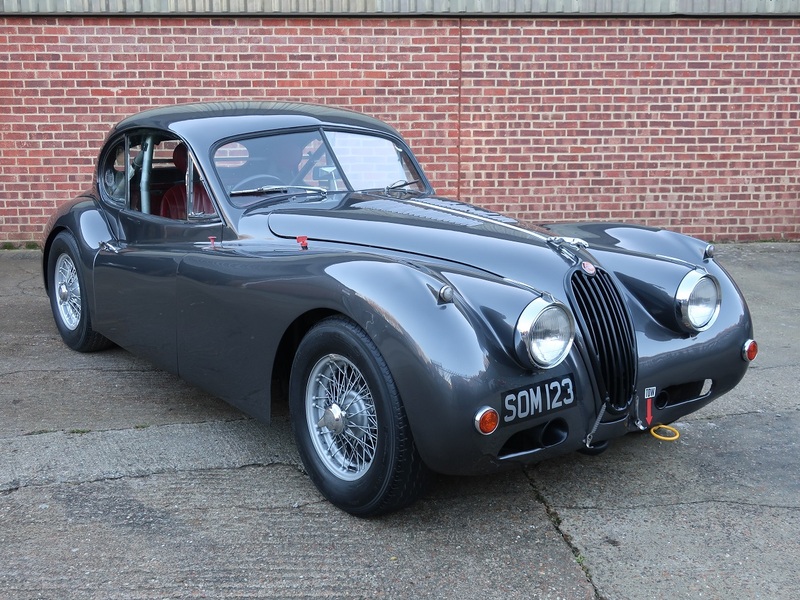 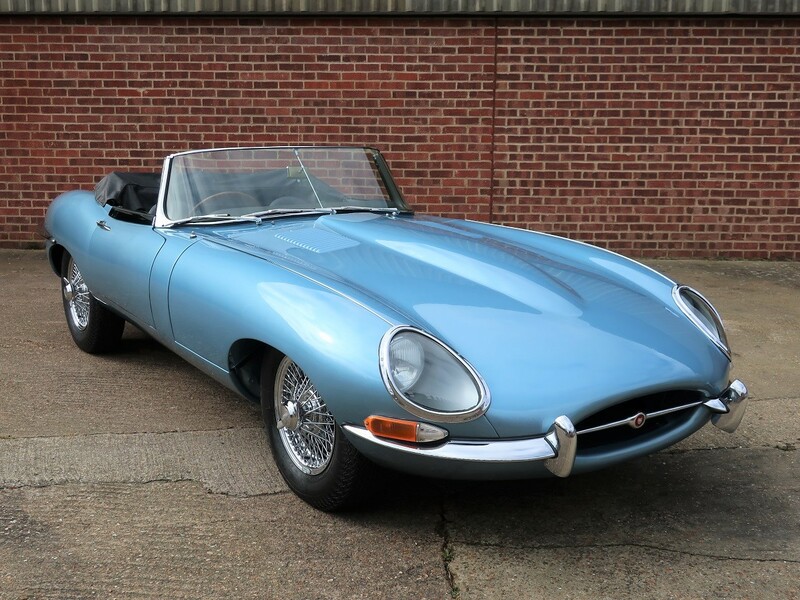 Complete with a comprehensive history file including competition papers, a current UK registration document and a new MoT as well as a spares package which includes four 16” OZ Racing Wheels. 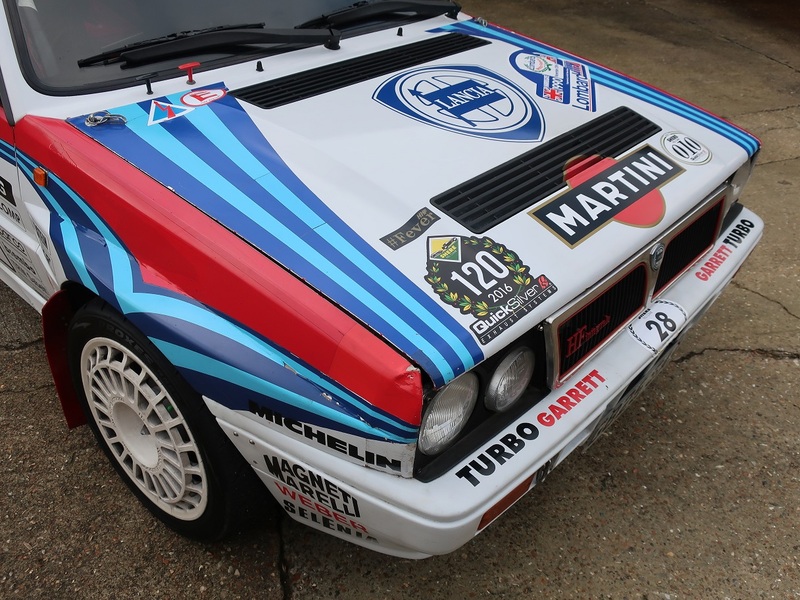 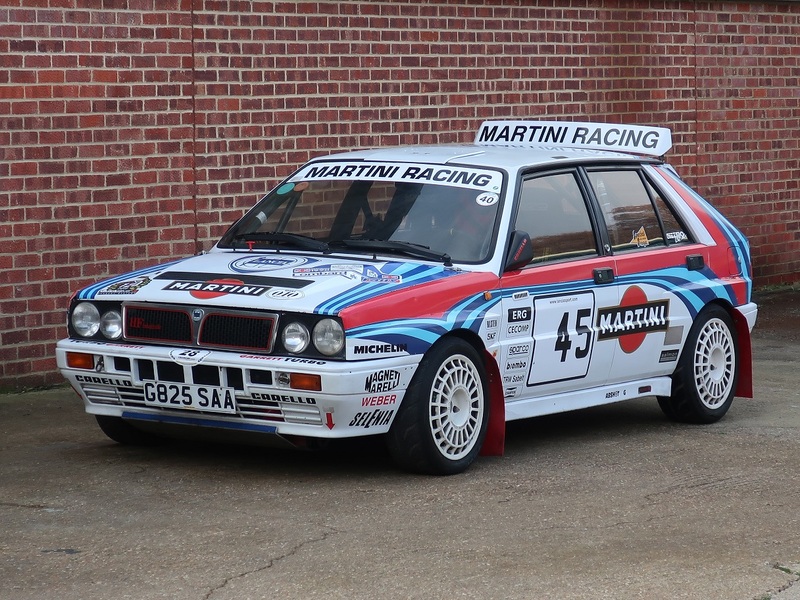 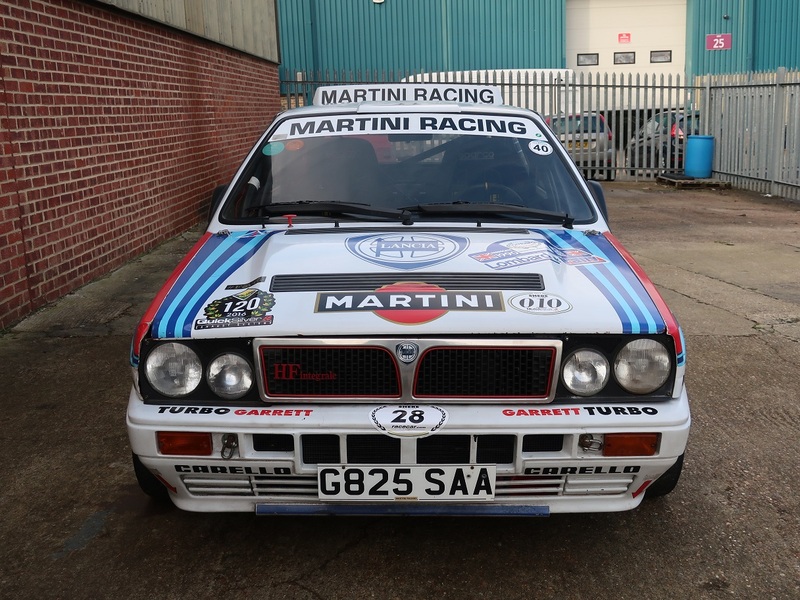 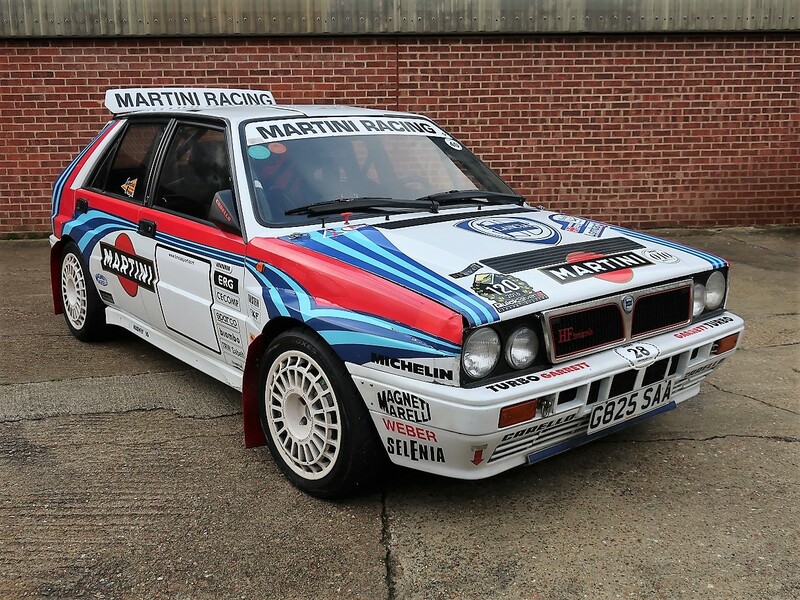 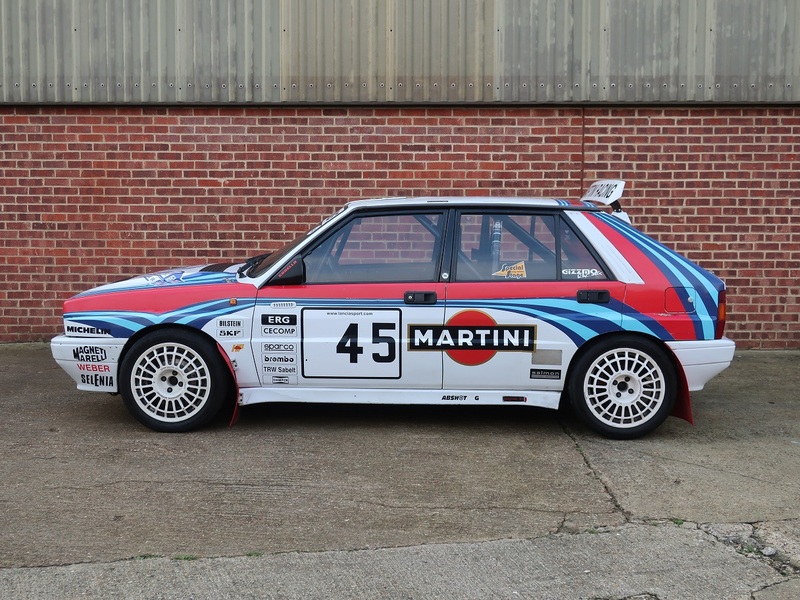 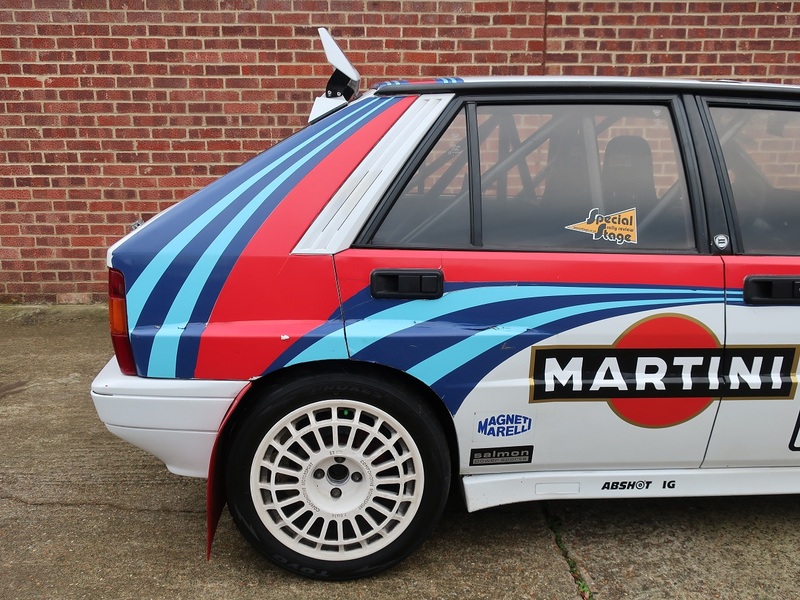 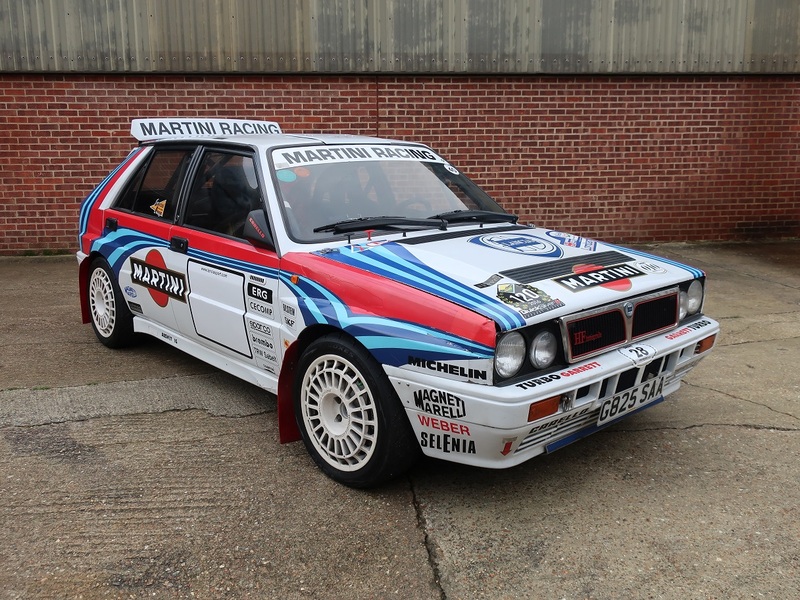 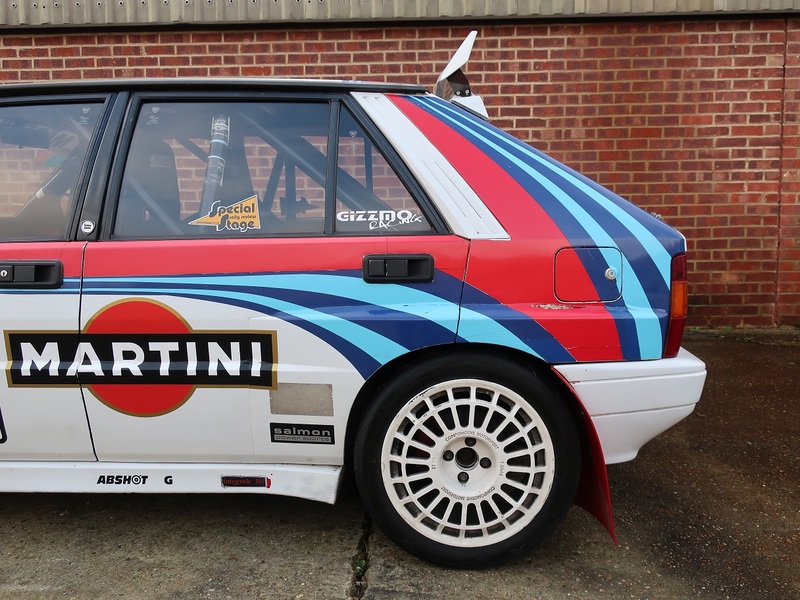 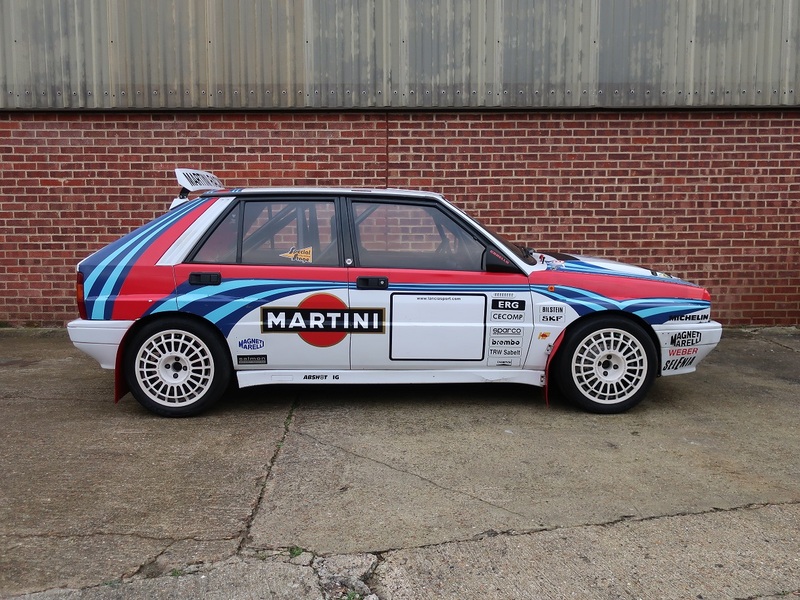 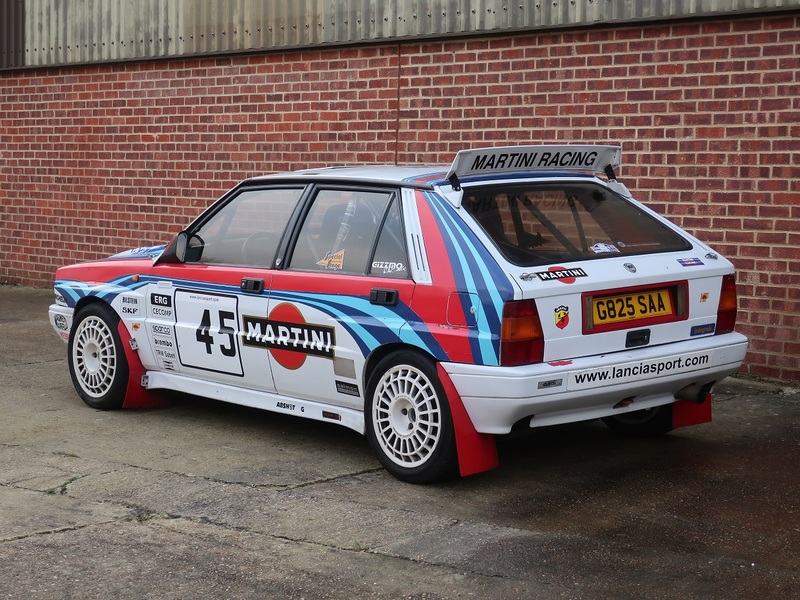 Offered in Martini Race livery the Integrale pays homage to one of the most successful rally cars of its era. 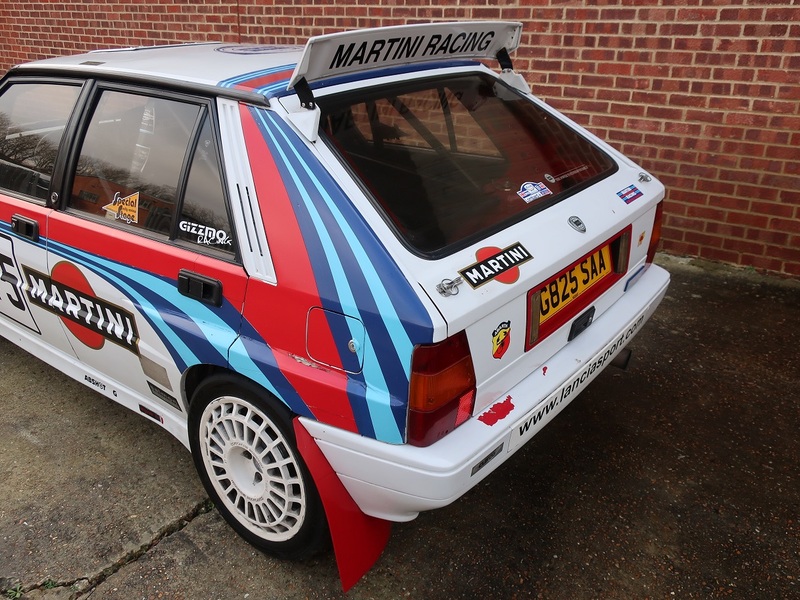 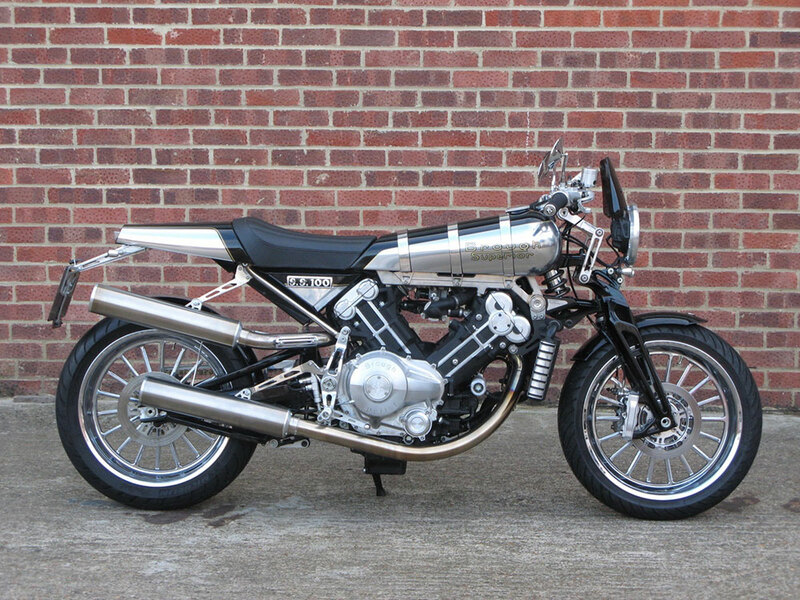 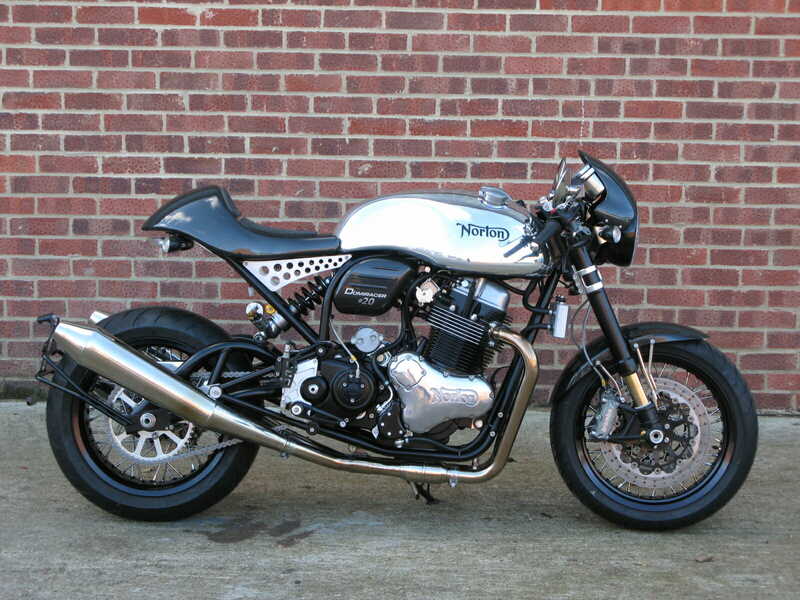 In very good order its mechanically on the button and offers huge amounts of fun!